Prospector Drilling's jack up platform Prospector 5 undergoes final installations at Semco Maritime's Invergordon facility before entering service 18 October 2014. 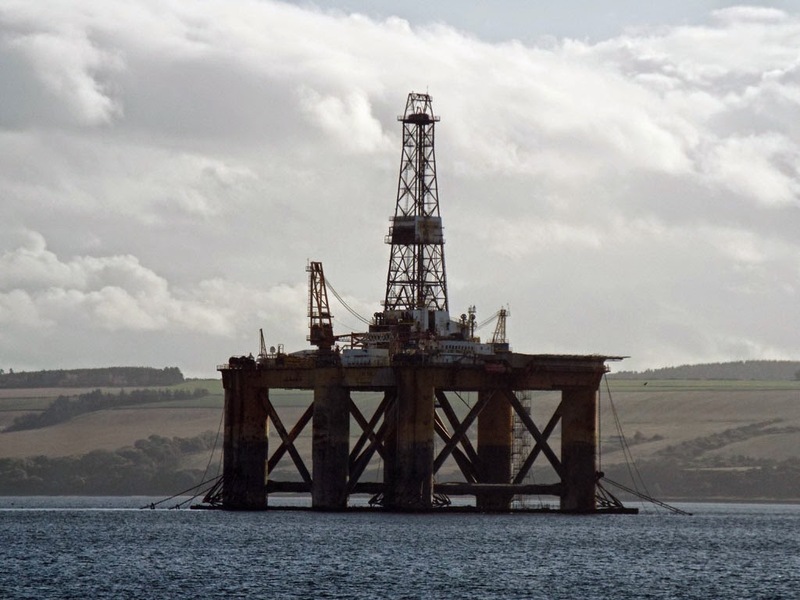 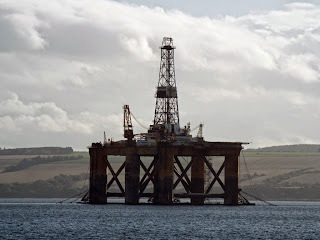 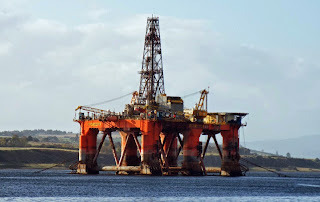 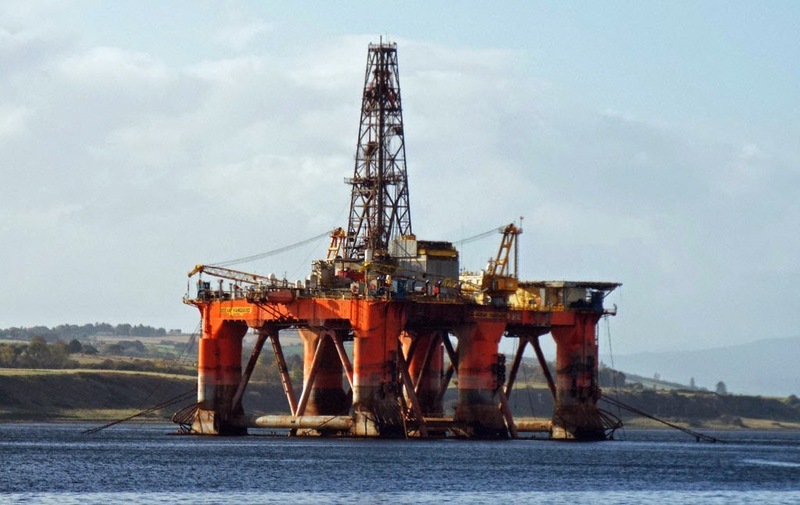 Transocean's semi-submersible JW McLean laid up (or "cold stacked") in the Cromarty Firth 18 October 2014. 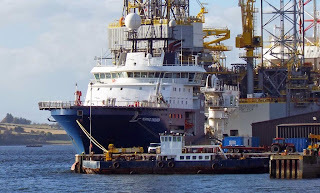 Diamond Offshore's Ocean Vanguard laid up in the Cromarty Firth 18 October 2014. 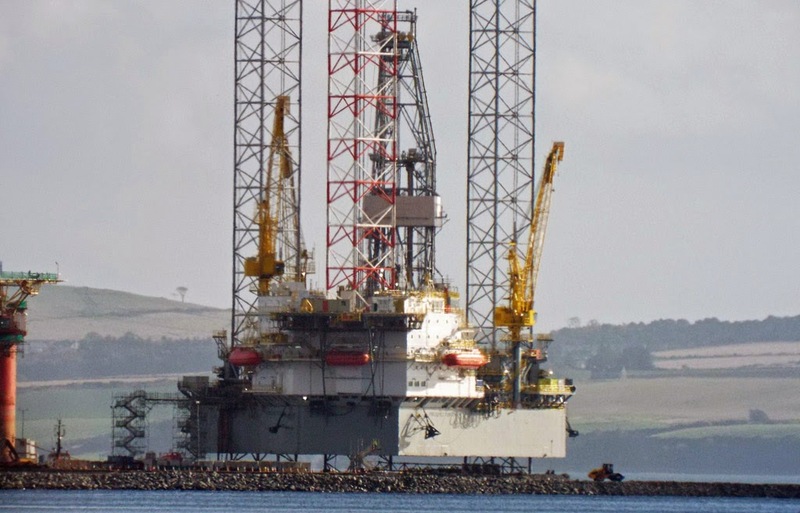 She is currently the subject of a contract dispute between her owners and Statoil. 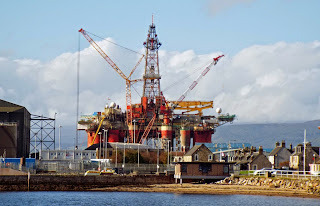 Mermaid Maritime's dive support vessel Mermaid Endurer in Invergordon 18 October 2014. 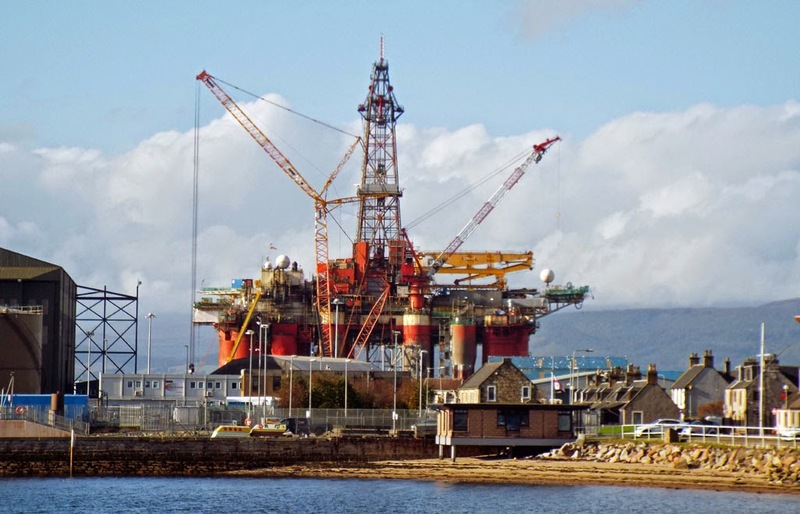 Semi-submersible platform Songa Dee undergoes maintenance in Invergordon 18 October 2014. Caledonian Towage Ltd's Strathdee at Saltburn Pier 18 October 2014. 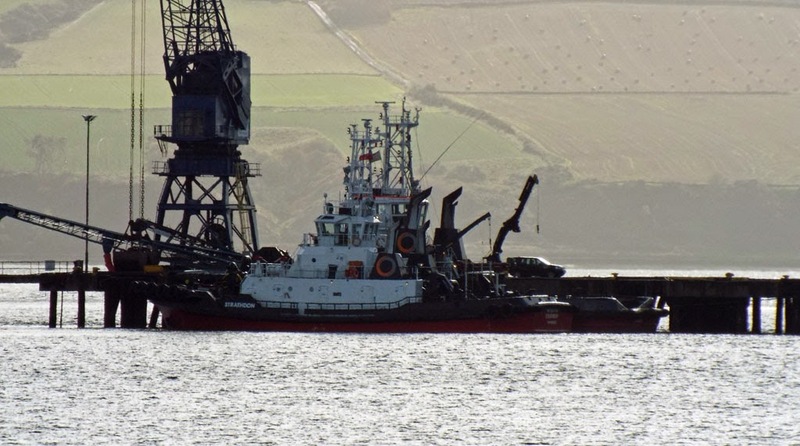 Caledonian Towage Ltd's Strathdon (Strathglass, last seen on the Clyde, lies inside) at Saltburn Pier 18 October 2014. 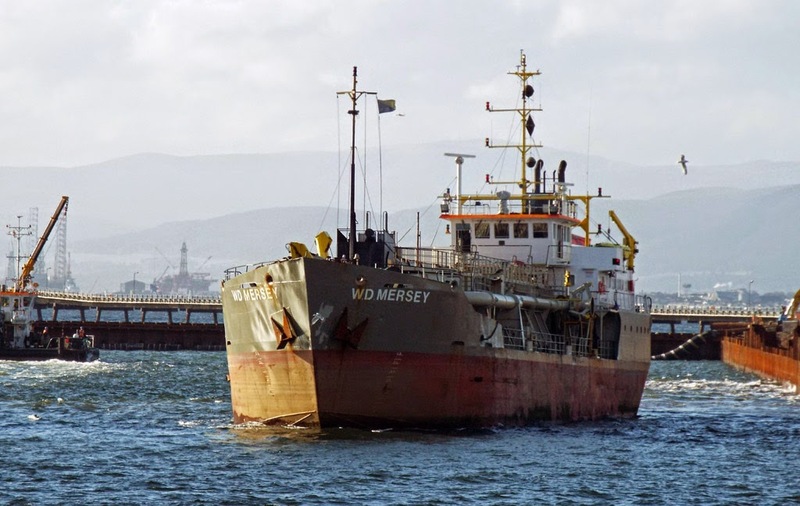 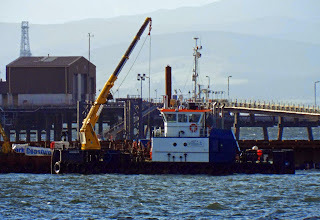 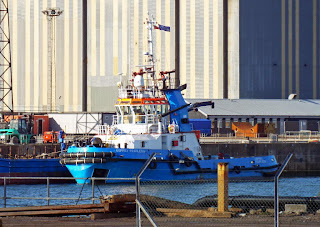 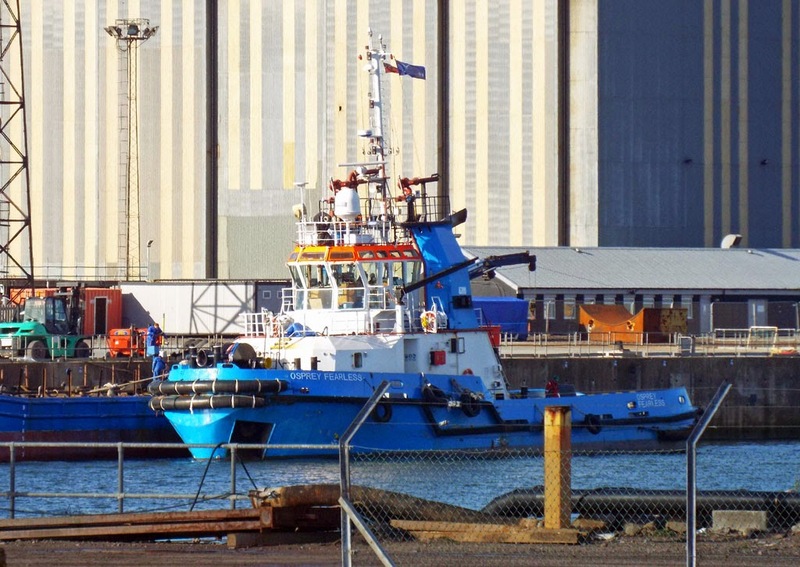 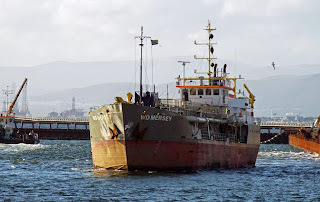 Osprey Shipping Limited's tug Osprey Fearless in Nigg 18 October 2014. 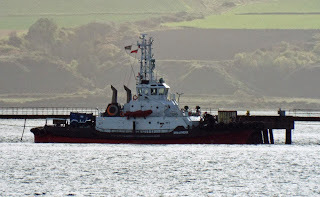 The Irish Dredging Company's trailing suction hopper dredger WD Mersey leaves Nigg for operations in the Cromarty Firth 18 October 2014. 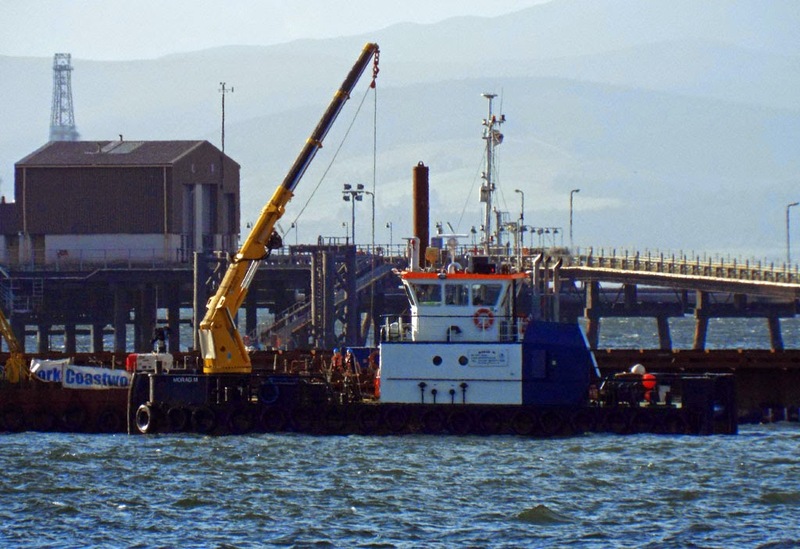 Coastworks' multicat Morag M working at Nigg 18 October 2014.